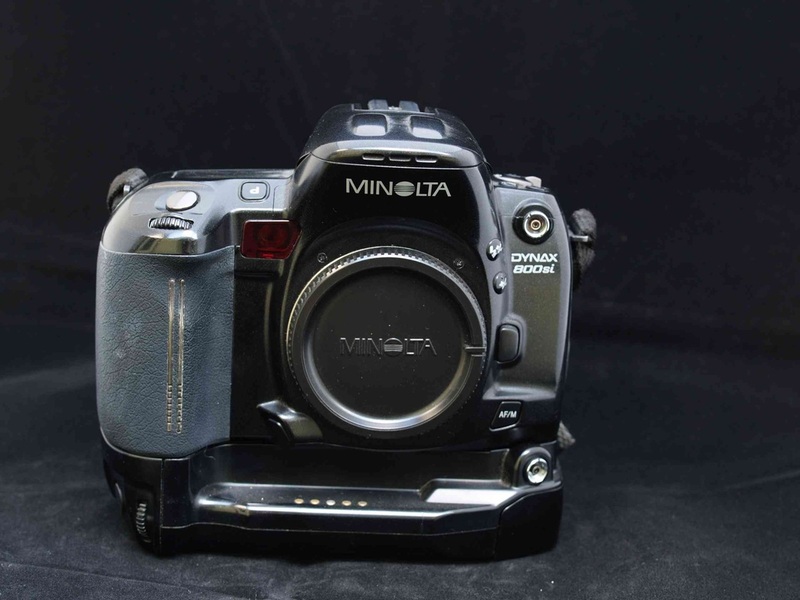 The marketing trick Minolta played on their customers when they introduced the 8000i besides the 7000i, they repeated with the xxxsi series. In 1997 they introduced the 800si besides the 700si. 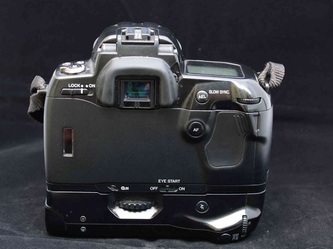 The camera with all the features the 700si should have had in the first place. 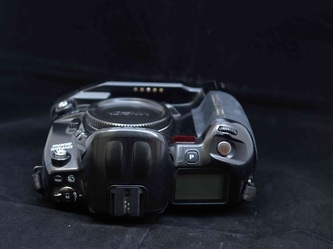 Equiped with 16 custom functions and on board: spotmetering, different AF modes (AF-A, AF-S and AF-C), autobracketing, strong and zooming built in flash, the 800si offered everything an advanced amateur could wish for. Though it still had the flimsy side door, use of additional cards is impossible but also unnecessary. Why? Because the camera's got it all on board! 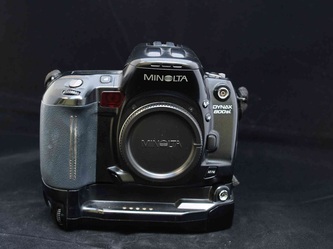 Finally Minolta learned that advanced amateurs don't want deliberately crippled cameras, which can only do what you want after you've paid additional bucks for, so called, creativity cards. This 800si has got it all. As I explained you earlier, Minolta tended to skip a range for their professional bodies. So there was a pro-body in the x xi range, which meant there wouldn't be a pro-body in the xxxsi range. This means though the 800si is a sturdy and very reliable camera, by no means it's a pro camera. Still perfect for the advanced amateur. Like all film bodies they almost sell for nothing. And if you're looking for a film camera besides your digital Minolta/Sony equipment, the 800si should be on your short list.